Contemporary open floor plan with lots of windows. Cool Kitchen featuring solid Maple cabinets, tin backsplash and large Granite Island. Relaxing tropical landscaped backyard featuring small Koi pond. Large Oak trees front and back. Could have 4 bedrooms. Luxurious Master suite has a fireplace and treehouse views. All bedrooms up. Large secondary bedrooms have full baths and greatÂ closets All windows are fully wood cased.Â Limestone Flagstone flooringÂ on all porch and balconies. 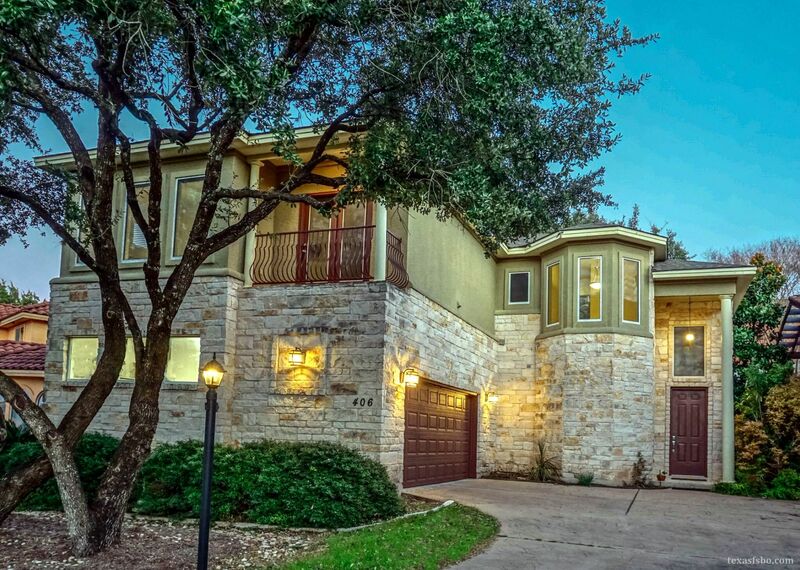 Low Tax Rate $2.283 withÂ NO HOA Fee, Highly acclaimed Lake Travis School. Quite street only 5 minutes from HEB, shopping, golf and a number of fantastic restaurants. Neighborhood Marina, Pool and Extensive hiking trails. My Castle Flat Fee Listed. Agents welcome to bring buyers, commission paid however, NO soliciting. I am already listed on the MLS. Thank you in advance for your cooperation.